Raaga.com: Will Sydney Cricket Ground be a boon in disguise for India in WC Semi Final? Will Sydney Cricket Ground be a boon in disguise for India in WC Semi Final? The Australian cricketers are known to be bigheaded and haughty hence there is no wonder that they are eyeing to put brakes to India’s winning streak during the coveted and thrilling World Cup semi-final clash at the Sydney Cricket Ground on Thursday. In a statement Australia batting star Glenn Maxwell boosted, "India haven’t won a game against us all summer. I hope that is pretty clear in their memories. We've been dominant all summer in the ODI format. Hopefully we can continue that." However the good news is that the semi final is being played at Sydney Cricket Ground, which is known for its pitch's reputation as a spinners' paradise. Hence even Pakistan captain Misbah-ul-Haq believes that India has a edge over Australia in the semi final because the match is being played at Sydney Cricket Ground and the ground is known to favor spinners. 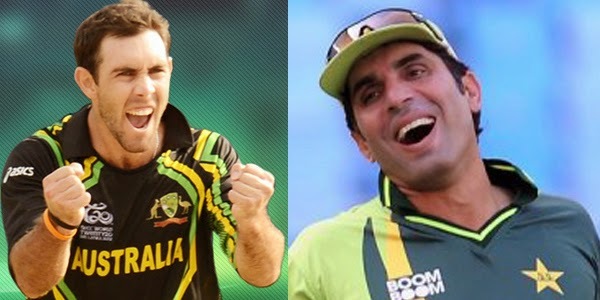 However Australia captain Michael Clarke disagreeing with Misbah-ul-Haq said, "Even if the ground supports spin, we've got spinning options in our squad. I am confidence that whatever 11 is selected, we will play our best cricket and give ourselves every chance of winning that game in whatever conditions." India, on the other hand has shown grit and confidence. The way Dhoni has led the team to amazing consecutive wins cannot not be mentioned in words. Truly how Indian have metamorphosed into a legend team in the making with their performance in the ongoing tournament is remarkable. Come March 26 and India awaits semifinal glory and even though stats pit Australia as favourites, don’t count the Men in Blue out. If they’ve broken the South African jinx in the World Cup, taming the kangaroos, which lack that experienced spinner, would be the tramp card that Dhoni and company would be working! Let’s hope Sydney Cricket Ground becomes a boon in disguise for Indian cricket team in WC Semi Final?